Delhi has always been crazily polluted but the situation worsens as the year end. We welcome Diwali, not just with lights but highly polluting crackers. But that is not the sole culprit of all the pollution. As the weather cools down all sorts of dust starts settling in the air. Couple that with the burning of farmlands in the neighbouring states, and you have a formula for weeks of unbreathable air. With air pollution becoming deadly this season, I opted to switch from regular air pollution masks to the Vogmask. Yes its super stylish but more than that it offers the highest grade of PM 2.5 particle protection. The mask comes in 3 sizes, small (mainly for children), medium (for people weighing upto 58kgs) and large for everyone else. The upper band of the mask that sits on the nose is bendable so that you can press it gently to fit against your face properly. 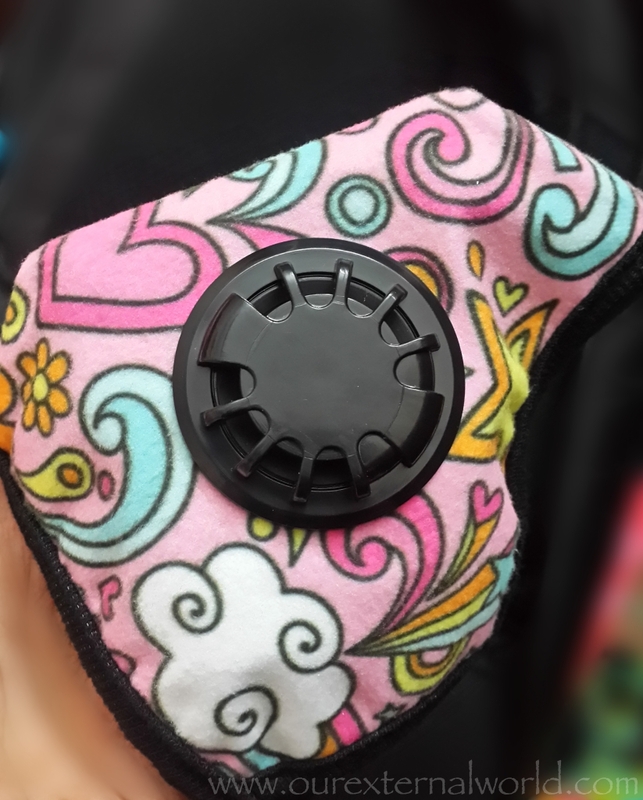 The masks come in various patterns to keep you stylish while you save your lungs from air pollution. The fabric is soft and gentle on the face. There are two ear bands on each side to hold the mask in place. The Vogmask has an N99 filter, a carbon filter layer, and exhale valve. The material is washable and reusable which is good because these masks do not come cheap. The mask does make breathing easier in extremely polluted environs but I've noticed at times it cannot hold back the smell that can accompany gaseous releases found in the fumes of heavily polluting traffic. If you are a first time user of an anti-pollution face mask note that you might initially feel a little claustrophobic as the mask covers your nose and mouth. But be patient and breathe normally for a few minutes and you will soon get used to it. I do feel that the sizes might not be perfect for everyone. I should be using a size M as per my body weight but M feels too large on my face and it feels as if more air is leaking out from the mask. Size S fits me well and feels more comfortable to wear but this definitely means I will need to replace my mask sooner. I've had quite a few people stop me on the road to enquire about the mask. I know people are worried about pollution and want to protect themselves, but the queries come in mainly because these masks are nothing like the standard ones available mostly at chemist shops. They are stylish and eye-catching for sure! If you don't really bother about the style factor and are on a tight budget, fret not! 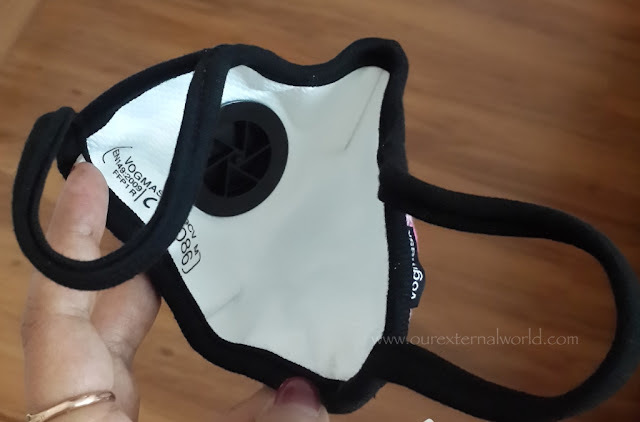 There are cheaper anti-pollution masks available in the market. 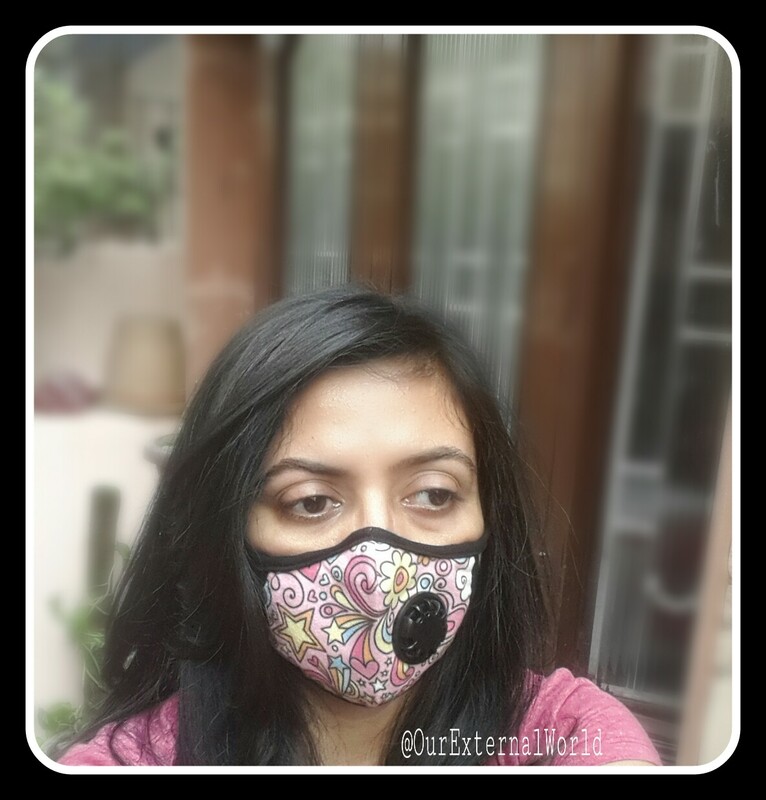 But do make sure your mask is at least an N95 because of the amount of pollution Delhi is breathing in this month. Stay safe and do your bit to prevent pollution! These masks are not N99. Using a N99 filter is different than making certified N99 mask. I checked at VOGMASK claims and they have results from private labs showing N99 results etc. which can be obtained based on material that they used. 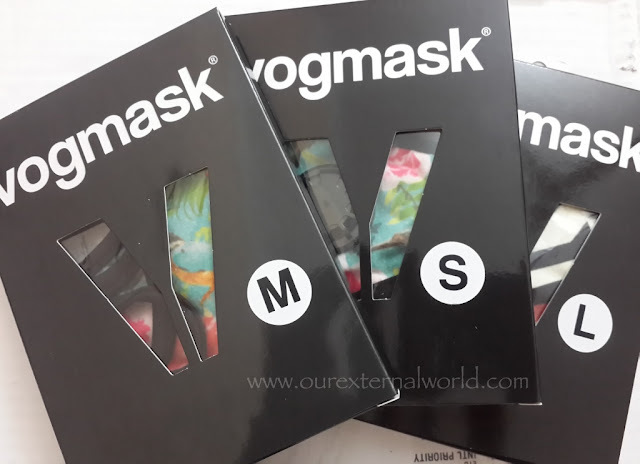 But when VOGMASK applied for CE certification to government agency in Europe, they must have tested the actual product i.e., manufactured mask instead of filter materials that they use. They only have FFP1 R certification which means that mask is certified to protect from 80% of particles in the air instead of 99% which is requirement for N99 level of protection. They need to clarify this in their claims instead of fooling people. This is just a good looking mask than anything else.